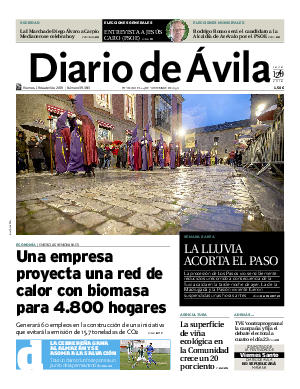 ME DIRIJO A LA OPINIÓN PUBLICA DE ÁVILA. YO DOMINGO MALZONI MARTINEZ, EN ESTOS DÍAS PRETENDÍ AFILIARME A UN PARTIDO POLÍTICO LOCAL SIN NOMBRARLO. CON LAS CUOTAS Y NO SE LE PERMITE LA LIBERTAD DE OPINIÓN. Luiggi - 18/09/2018 . 09:35 h.
yin - 17/09/2018 . 08:00 h.